1. Professor - A Medical qualification /Master’s Degree /Doctorate Degree in relevant discipline. 2. 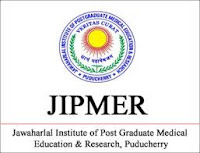 Assistant Professor - A Medical qualification /Master’s Degree /Doctorate Degree in relevant discipline. 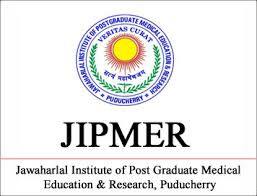 A Demand Draft in favour of the Director, JIPMER, Puducherry payable at State Bank of India, JIPMER Branch, Puducherry-605006, towards the examination fee (non-refundable fee), and Rs.500/ for General & OBC category & Rs.250/ for SC/ST category) should be attached in original with the application. The application fee once remitted will not be refunded.